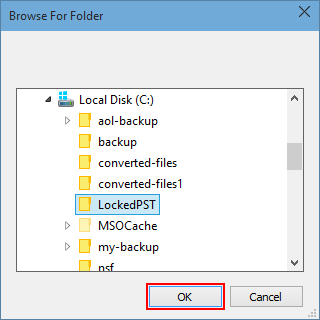 PST Password Unlocker tool is a standalone utility that removes Outlook PST password and recovers emails from password protected PST. Moreover, it does not require the users to install Microsoft Outlook. The advanced programming of the software allows the users to recover the password of numerous PST files. Users can select more than one PST file and erase password from Outlook PST file. When the recovery is performed by the tool, it does not consider the character length of the password. 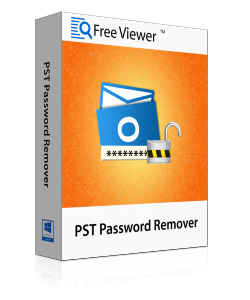 This Outlook PST password recovery tool easily remove security from PST file having the password of any character length & access emails of protected PST file. 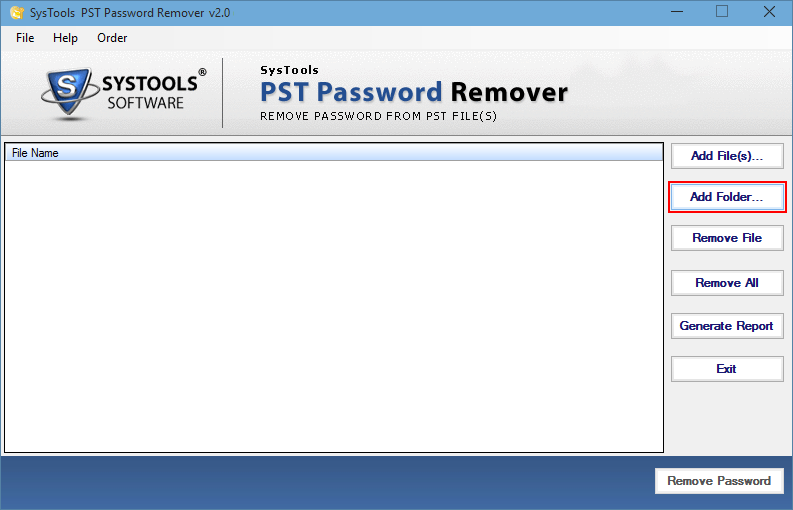 This PST File password remover is built to perform Outlook PST password recovery in the form of password elimination. Once the password is deleted from selected PST files, users can save the unprotected PST and apply password of their own choice. There is a need to recover PST password in all the situations whether it is lost or forgotten. This tool helps to recover password that is created using combinations of alphabets, digits, special characters, symbols, etc. 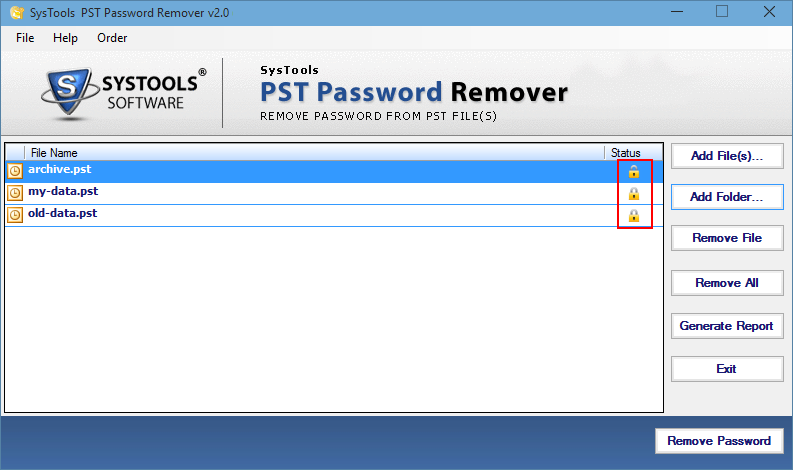 The GUI of PST password remover tool is very simple, operable and understandable to all the users. As the software is built on a single panel i.e. it has one screen and does not require the user to navigate to and fro. The PST password recovery software is designed to install on all Windows Operating systems from XP to Window 10. If you have Outlook PST file in 2003/2007/2010/2013/2016 version and is password protected then you can use the software to decode the pst password. Fully standalone tool and does not requires Outlook to be installed in order for it working. If you have many PST files that are password protected then you can use the tool to simultaneously remove password without taking the brute force method. Simple to use, easy to download and requires minimum hardware resources. Preview Emails, Contacts, Journals, Calendars, Tasks, Notes. 32/64 bit and ANSII and UNICODE Supportable. 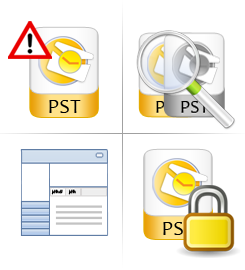 Demo Version of PST Password Remover software will only show the status as a lock icon, if PST file is password protected. How can I unlock PST file password? I want to make the PST migration but got stuck due to the password in PST file. What are my options now? This is the common issue faced by the administrator when they want to transfer the Outlook PST mailbox to other formats or environment but cannot due to encryption or password within the .pst file. Is there any need to install Microsoft Outlook and configure in system? No , there is no need of installation of Outlook. You can use PST password remover without Outlook. How the PST Password Recovery software ensures Data Safety and Integrity? The PST Password Remover Software does not interface with the actual data. Hence, the data remain safe and secure but in order to remain on the safe side please ensure a backup of the PST file that you want to remove the password. I don't have Outlook email client then how will I ensure that the password has been removed and the file is good? No problem, once you done with the PST password recovery process you can then use the PST Viewer Software which will help you to view emails as well as any associated attachments. 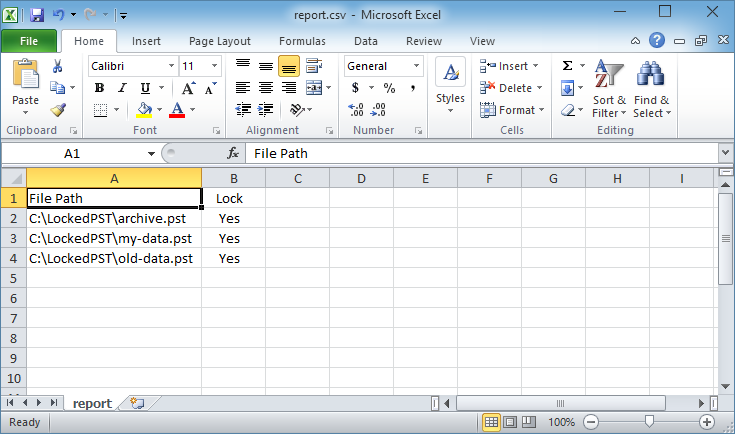 "Nice and easy application and I was able to remove PST password for my Outlook 2010 version. I tried other tool but they work not to the expectation for the purpose but thanks to the Outlook PST Password Recovery tool I have access to all my locked PST emails." "I thought I lost my emails as I don't remember my PST password but as they hold very significant value to me as I can't afford to lose them. Your PST password remover tool matched the expectation and delivered what you promised. Glad I use your software and very happy with the overall experience with the tool.